What will the new equipment save in production costs and or add to the revenue for the firm? This math outcome in turn will determine the “Payback Period” for the capital investment. A capital budget analysis that determines the internal rate of return and the net present value of the investment compared its cost will then used to see if the investment makes sense financially. 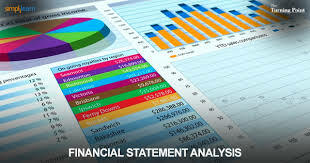 If the asset is acquired outright all of the funds will come from the firm’s working capital and equity accounts. The firm needs to be comfortable in taking down its most valuable asset (CASH) and then finding itself less able to finance its growth or for that matter its next large piece of business. In an indirect way, going to the bank to borrow the funds with a term loan may have the same shortfall. This is because when a bank lends money to one of its customers it has a threshold it cannot go beyond, and that is the total lending exposure to any one customer. If this amount is too high it will lessen the amount of funds it can now offer the customer in the way of working capital lines of credit. These items are used to cover items like accounts payable and payroll when collections fall behind or work in progress payments turn out to be insufficient. Because capital acquisition amounts are usually much higher they can quickly crowd out the amount a bank can lend for working capital needs. Since banks prefer to make working capital lines and other self-liquidating type loans, it just makes sense to look for term lending elsewhere. There is usually NO down payment required (100% financing), and in some instances delivery and set up can also be included. For material amounts up to $100,000 (sometimes more) there are no requirements to disclose financial statements and tax returns to be approved for the funds. Since you have NO cash requirement up front your payback period could be as little as 30 days if the new revenues and cost savings monthly are more than the monthly payment. Since you have NOT borrowed money from your bank, you now have more of the lending limit the bank can advance you for working capital lines than you would if you had taken a term loan with them for a material amount. Now you have diversity in where you borrow money and what you use it for. Banks do NOT like to be exposed to interest rate risk, so they prefer to lend with variable rates. Our approach is done with fixed rates so your costs are locked in over the given term. Some businesses are seasonal with their cash flows coming in during brief periods during a year and our approach can be structured so that required payments will occur only during that seasonal time frame. In some instances they can be structured in a variety of hybrid, skip-payment arrangements. There are many other differences that are worth considering, but these should give you enough information to show that further investigation is probably worth the time you would use to confirm or dispell the idea for your particular purposes.